[IBS and SIBO SOS Summit]: Day 4 – Improving Your mood With Food, Tickborne Causes of IBS/SIBO and the Gut/Skin Matrix! We’re diving deep today at The IBS & SIBO SOS Summit! Be sure to get your notebooks ready, because these “healing pearls of wisdom” will be ones you’ll refer to again and again. Just a few the topics on the roster today: improving your mood with food, tick-borne causes of IBS/SIBO and the gut/skin matrix. Even though Shivan Sarna was plagued with “stomach troubles” throughout her childhood, her pediatrician never gave it much attention. Her mom and dad, on the other hand, were determined to find her relief. When Shivan was 15 years old, her mother consulted with a functional nutritionist — it helped change their perspective on how food impacts overall health. But her journey didn’t stop there. 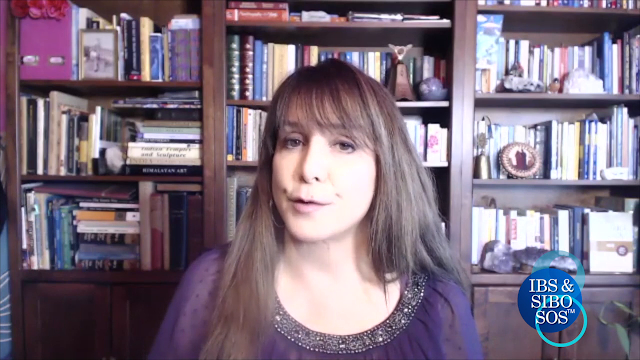 As she got older, her “troubles” kept her reaching for solutions in any way or place she could find: acupuncture, steroid shots, Ayurvedic medicine, massage, reflexology, cranial sacral… the list goes on and on. Shivan tried almost everything she could think of to get rid of her issues, but with limited success. Shivan describes this time in her life as “a bewildering, frustrating, anxiety-ridden roller coaster filled with high hopes and crushing disappointment,” which, to hear other SIBO survivors tell it, is exactly how they feel. This was all going on while she was having an amazing life by many measures: yoga studio, a fantastic marriage and a flourishing career on TV. Throughout it all her pain persisted, but she never gave up trying to find out what was going on with her health. It wasn’t until 2015 that she learned SIBO was the underlying cause of her digestive struggles. Once diagnosed, Shivan finally found the relief she needed. She also realized that millions around the world were suffering the same as she once did. 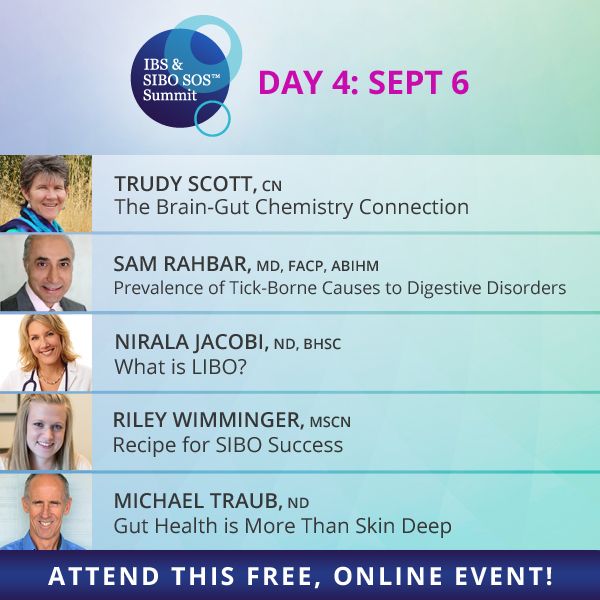 BTW, Shivan is your host of The IBS & SIBO SOS Summit, coming to you online (and free!) this September 3-10, 2018. Struggling with digestive issues, then register now! Shivan created the IBS & SIBO SOS Summit for those who suffer from SIBO and other chronic digestive problems — they have MANY options for treatment and healing. If you’re suffering from bloating, painful gas, diarrhea, constipation, mixed digestive patterns and/or poor nutrient absorption, then we recommend joining us for this amazing event today! P.S. 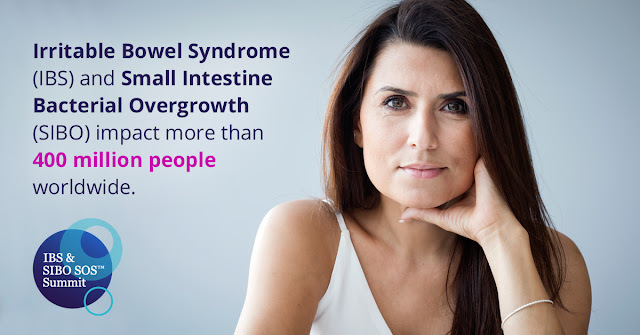 If left untreated, pervasive digestion issues like IBS and SIBO can have devastating effects on your quality of life — but there ARE solutions! Fortunately, we have just the (free!) resource to help: register for this summit today!